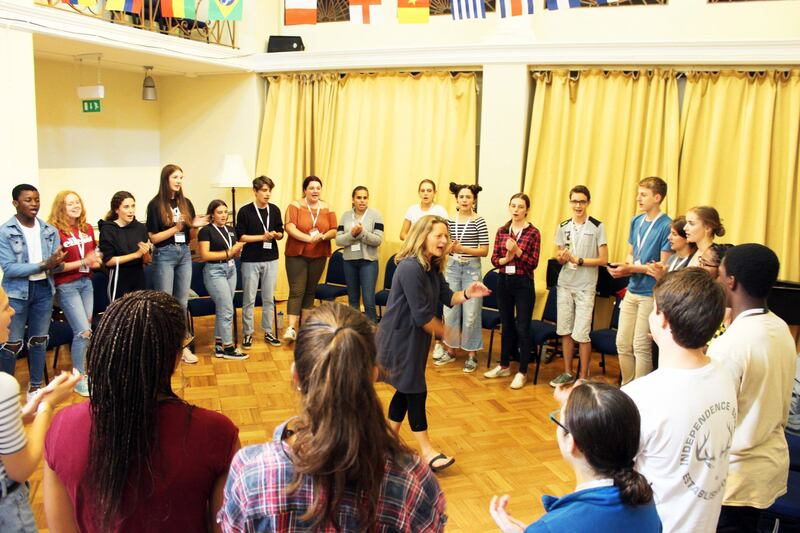 Our one, two, three and four-week programmes bring together young musicians from around the world for an immersive musical education, with tuition from some of the UK's finest professional musicans and educators. 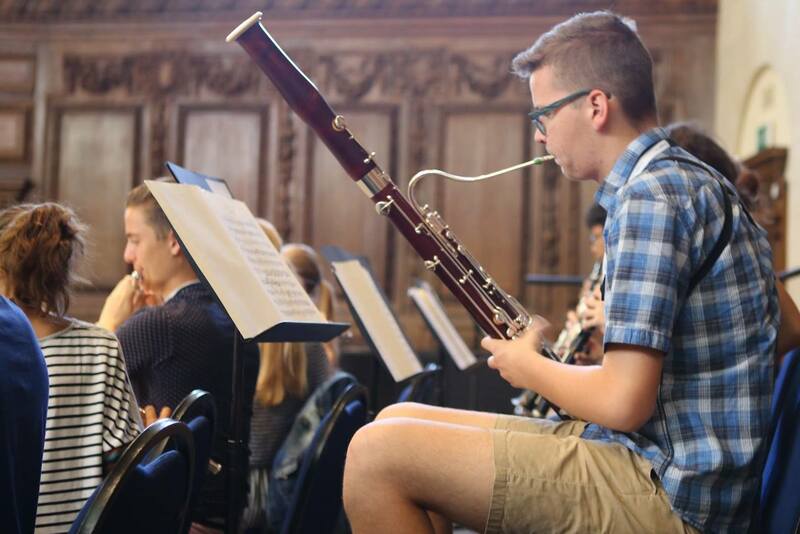 A summer at the Ingenium Academy offers a diverse and enriching musical experience, with a packed schedule including everything from ensemble rehearsals, sectionals and private tuition to a range of musicianship sessions, fun activities, performances and concerts. 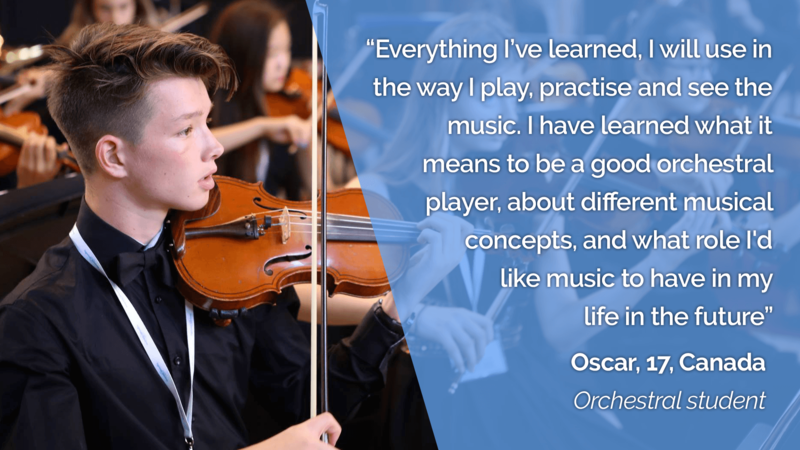 Each of our seven intensive programmes provide an in-depth learning experience for the individual, as part of a lively, musical family. Each year our students leave us with broader horizons, and belonging to a new network of young musicians from all over the world. 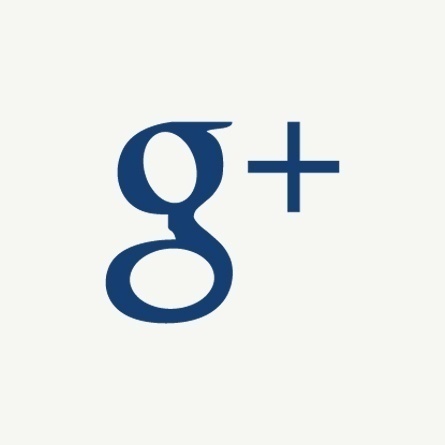 "I would like to come back as often as I can. I think that Ingenium is an inexhaustible experience, because it's almost like being a professional musician. Never before have I felt that I was in the right place quite like this summer." Music at the Ingenium Academy combines the highest standard in tuition with an immersive and inspiring musical experience. 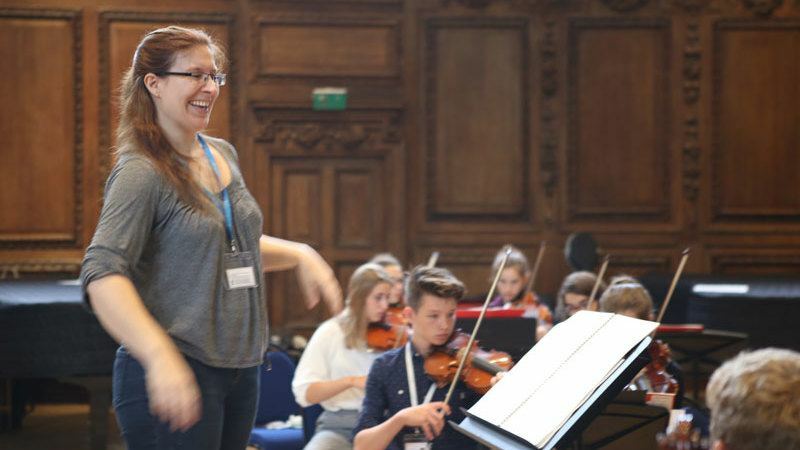 Our teachers are carefully selected not only for their experience, musicianship and expertise, but also for their energy and enthusiasm for working with young musicians and their talent for teaching. 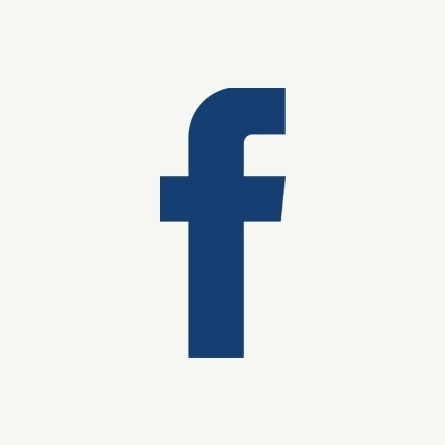 Our team includes names from the UK's most prestigious orchestras and institutions, including the London Symphony Orchestra, the Royal Academy of Music, the Royal College of Music, the National Youth Choir of Great Britain and multi-Grammy award-winning a cappella group, the Swingle Singers. See more about our music staff here. 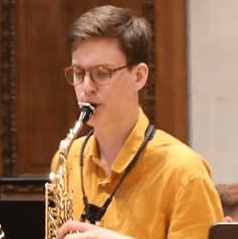 Tuition includes everything from full ensemble rehearsals to small sectional groups and one on one tuition, in which students are encouraged to focus on individual aspects of their playing and helped to identify their strengths, weaknesses and personal goals. This gives our students the opportunity to learn from and work with diverse and inspiring professionals both on an individual and group level. 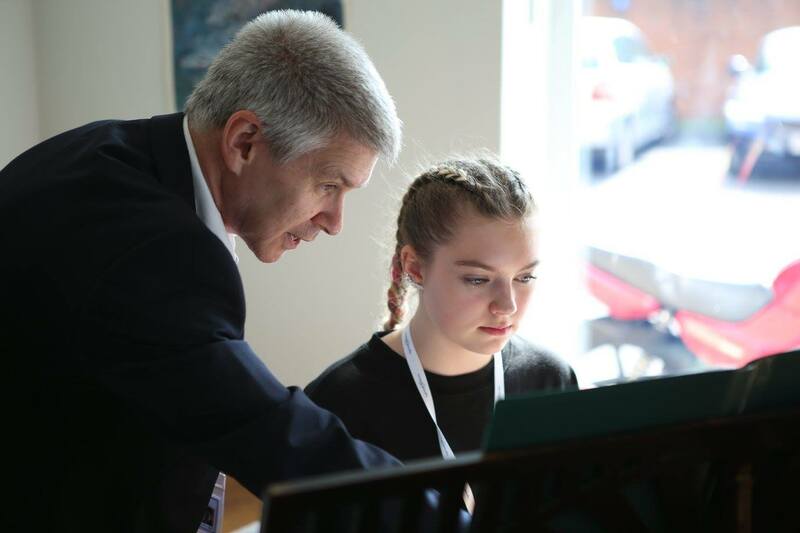 Our students rehearse and perform challenging and exciting repertoire that is carefully selected to develop technique, deepen the students' understanding and awareness of the music, and to provide a great sense of enjoyment and achievement. We approach a completely new set of repertoire each week, meaning that whether students join us for 1, 2 or 3 weeks, everyone is discovering the music together for the first time. 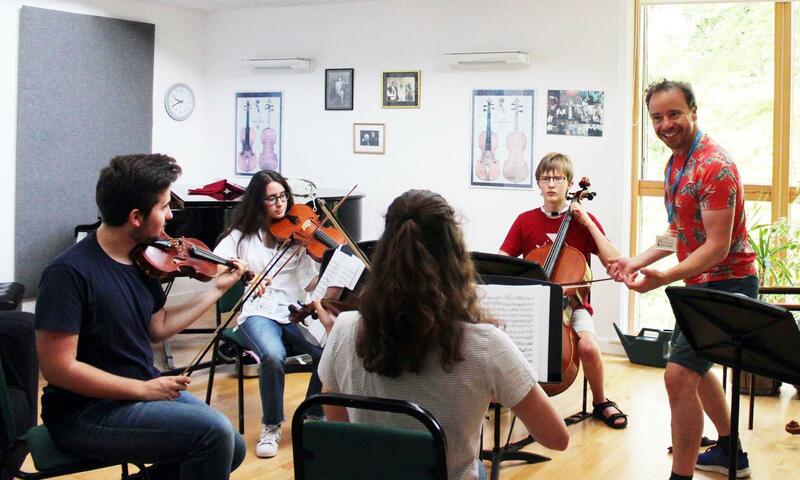 In addition, students from each of our programmes join together to take part in a wide range of musicianship workshops. These are designed to broaden each student's musical experience by exposing them to something new. Workshops in improvisation, composition, conducting, jazz, folk music, baroque, performance anxiety, Alexander technique and life in the music industry are just some of the diverse areas covered each year. 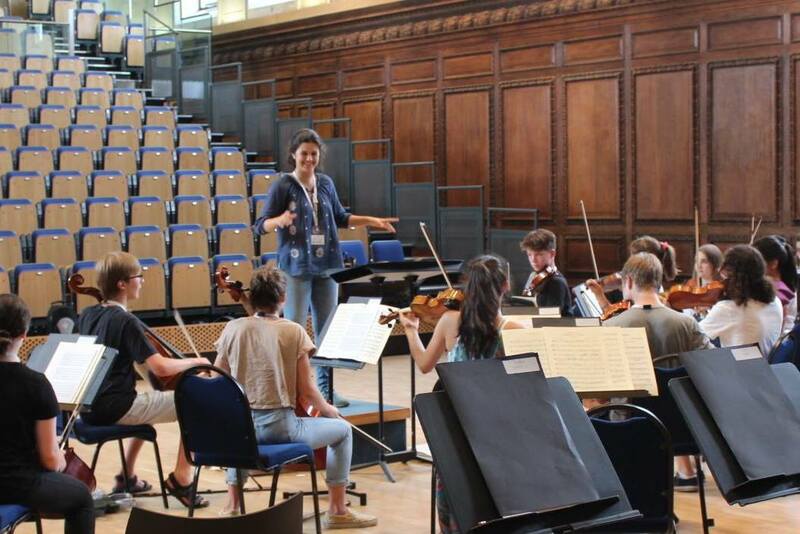 During the four-week summer school, students have the opportunity perform public concerts in London, Oxford and Winchester. 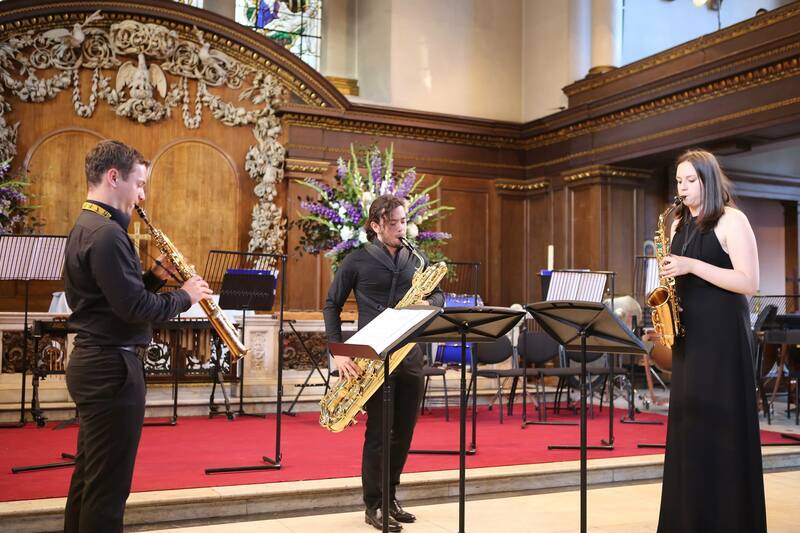 Previous concerts have taken place in prestigious venues such as the Holywell Music Room in Oxford, St James' Piccadilly in central London and Winchester Cathedral. We also perform concerts for friends and family in Winchester College's state-of-the-art performance hall. In addition to these public performances, students have weekly performance opportunities at our internal Performance Platforms. These evenings provide a friendly, safe and informal environment for students to experiment and to develop their performance skills, conquer nerves and build confidence. See more information about this year's performances and venues on our Concerts page. Find out more about our programmes: Orchestral, Vocal, Piano, Saxophone, Chamber Music, Conducting and Composition. 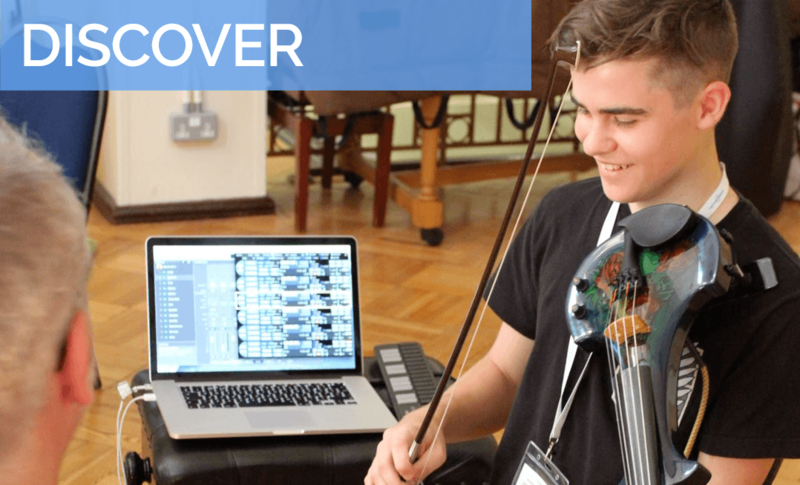 "My son made strides musically, and gained confidence. He was thrilled to be around like-minded, talented, engaged, energetic, friendly kids of same age-group"